When I asked the Sudilkover Rebbe about Sefer HaChinuch, he remarked, "It is a gevaldige sefer! I love learning Sefer HaChinuch!" 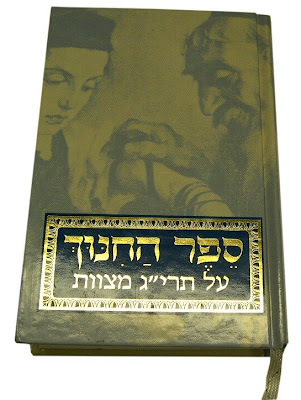 He mentioned that he routinely gives shiurim in this sefer and recommended that I learn it as a way to better appreciate the essence of the mitzvos that Hashem gave us. The Rebbe advised me that the best way to approach learning this sefer was to begin by learning the mitzvos that related to the parsha of the week. In the cases where the parsha had numerous mitzvos, he suggested first learning those mitzvos that can be observed today before learning the mitzvos that cannot not be performed in our generation. Finally, the Rebbe recommended that during the weeks of Sefer Bereshis, when there are only three mitzvos for this entire eleven week time period, that I learn these three mitzvos and use the remaining time to learn the mitzvos from Sefer Devarim that I did not have time to learn. I immediately ordered a copy of the Hebrew/English 5 volume set after I got off the phone with him and started learning it two days later when the FedEx truck delivered it to my front door. I have been learning a little bit each week since Parshas Masei and have greatly enjoyed learning it since that time. This is one of my Rav's favorite Seforim. He plans to start a shuir on it before shachris. We were just talking about it today and I decided that I needed my own copy too. Long Beach Chasid: While the English is technically translated, it seems to lose the beauty of the original somewhat. I bought the Hebrew/English version to use as a crutch when I get stuck on the Hebrew - and for that it has been very helpful. thanks for this post, it answered a question that has sort of been floating around in my head. For the past year I was learning the Pri Ha'aretz on the parashah--we managed to keep to it and did a siyyum for simchat torah :) which meant i needed something new to learn for the new cycle. I settled on the Otzar HaHayyim of the Komarna Rebbe, (which goes through the 613 mitzwoth as they come up in the Humash explaining them on Pshat Remez Drash and Sod levels) having never learnt it before --- but as you said, the first eleven weeks have very few mitzwoth to study. now I know I can go back to his summation of sefer devarim which i briefly perused before starting the new year. I am so happy to hear that this posting was useful to you, Yitz. who is the ' Sudilkover Rebbe'???????????????? ?